I saw this on an online workshop and I loved the idea. 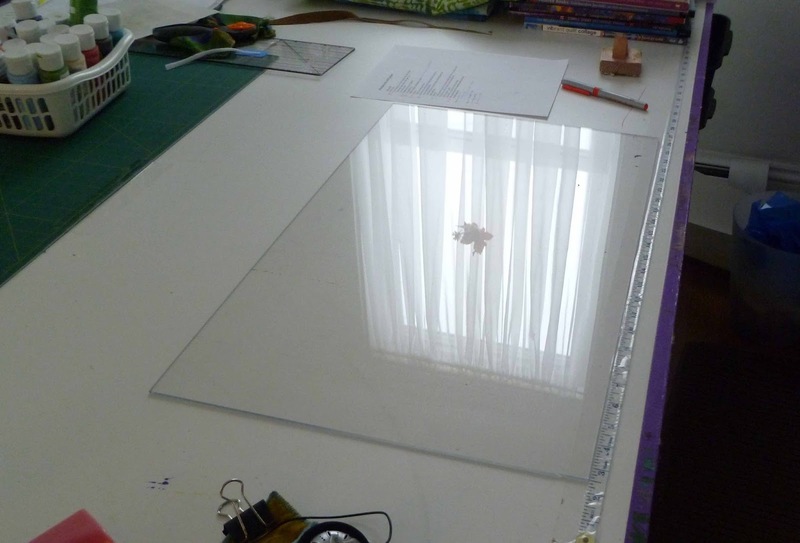 I frequently stop at the glass store and ask for "scraps" of Plexiglas. 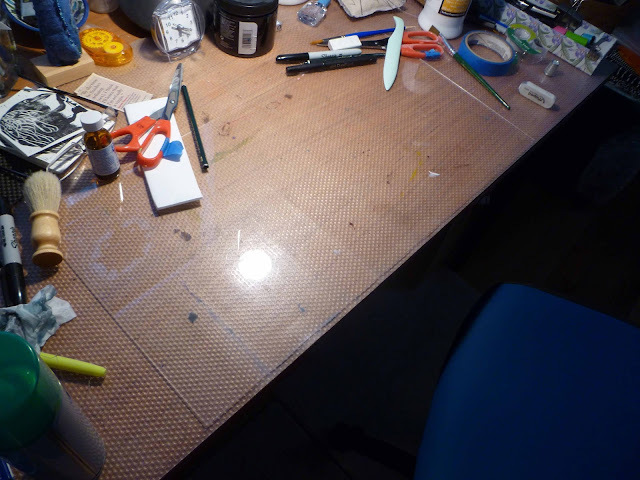 These are two "scraps" I got and I am using them to protect my desk and work table. Thank you workshop!! This is a big bugaboo of mine - BRUSH CARE. 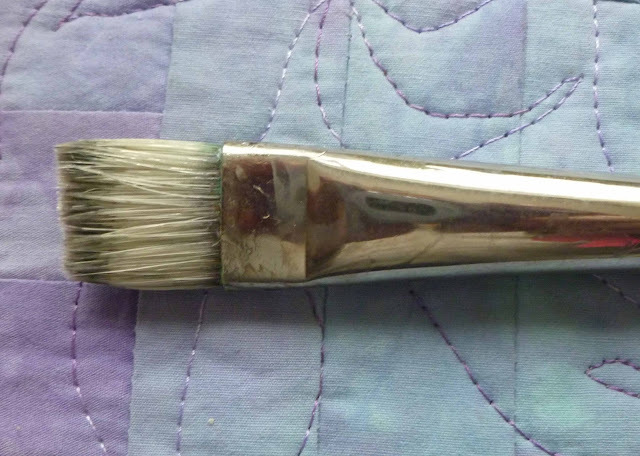 This brush is almost 40 years old but I am a nut about care. The most important thing I learned about brush care are these: Always wet the brush so that the feral (metal bit clamping down the hairs) is thoroughly wet. This way the paint or what have you doesn't travel into the feral hardening it. I also DON'T let the brush soak for hours in water. I try to wash it with soap and water as soon as I am done with it gently squeezing out the water and straightening the hairs. I may seem a bit nutty about this but good brushes are expensive. I do buy cheap ones if I know they will be ruined while in use. I hope you are working along with me.